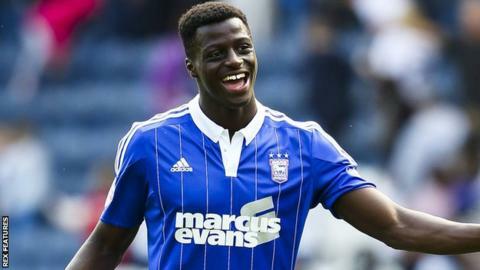 League Two side Crawley Town have signed Ipswich Town defender Josh Emmanuel on loan until 2 January. The 18-year-old made his debut for the Tractor Boys on the opening day of the season and has made a total of five appearances for the Championship club. "Josh is highly regarded by [Ipswich boss] Mick McCarthy," Reds manager Mark Yates told the club website. "He's athletic and aggressive. I think he will adapt well to the rigours of League Two."